Spending summer under the sun could not be easier with all that Hamilton County has to offer. We&apos;re so lucky to have so many great options for music throughout the year but summer really cranks up the tunes. Klipsch Music Center is the largest music venue in Hamilton County, boasting great sound quality, top notch video screens, friendly staff and a clean pavilion. The show must go on at Klipsch! 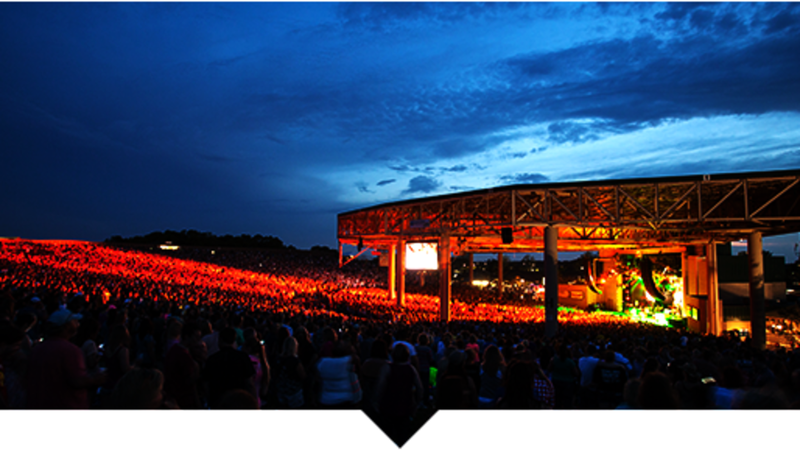 Here are our top five tips for your summer concert trips to Klipsch. 1. Tailgate - Get there early to tailgate. Getting into the venue takes a while sometimes so make sure you have plenty of time before the show starts. If you&apos;re early, tailgate at your car before heading in. Bonus if you pack a picnic of local food! 2. Food & Drink - There are concessions at Klipsch that serve your typical concert food. Mixed drinks and beers can be found at the bars and the North and South concession spots. Guests are also allowed to bring food into most shows. See the official rules for more information. 3. Seats -You&apos;ve got your choice of having a seat in the pavilion or being in the lawn with a general admission ticket. Bring a blanket or beach chair (no more than 9 in off ground) for most shows. Some shows are &apos;no blanket shows&apos; so be sure to have a friend guard your lawn spot if you head to the concessions. 4. Lines -Like most concert venues, the lines can get long. We suggest parking close to the exit to avoid the wait at the end of the night (don&apos;t skip the encore to sit in traffic!) Grab a double or two beers at the bar before heading back to your seat to avoid missing your favorite jam. 5. Be Responsible - Know that the lawn does can get rowdy at many shows. Splurge for a baby sitter and even an Uber to the show. There is an Uber tent near the exit and the pickup is off Boden Road on the west side of the complex. Now that you&apos;ve got our tips for your summer concerts at Klipsch, check out the upcoming line up for 2017. Who are you going to see? Let us know if there are additional tips you would share with a first timer at Klipsch Music Center! Tag us on social using #VisitHC / @VisitHamiltonCo and #LiveMusic / @kmclivenation with your summer concert photos at Klipsch Music Center. Rock on! 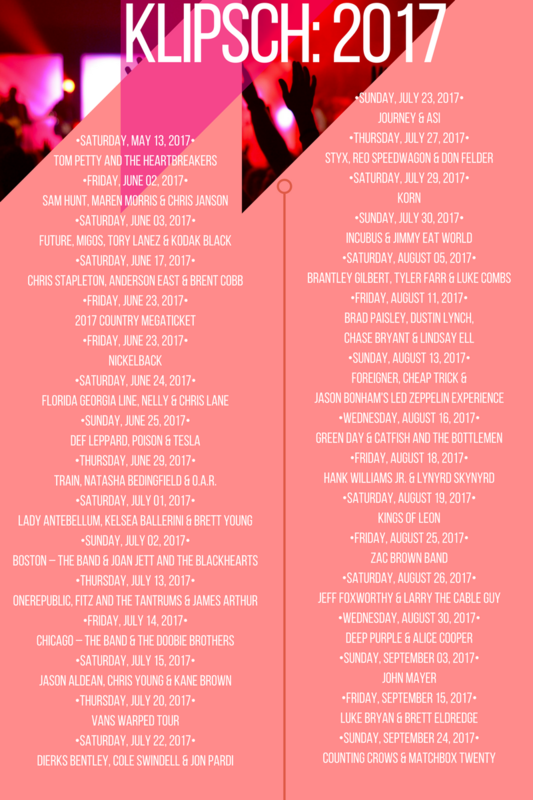 BONUS: Download a free and printable list of the 2017 concert season - perfect for hanging on your fridge!